5Paisa Trader Terminal is a terminal based application suitable especially for expert level traders. If you are looking for a wide range of features, reasonable speed and optimal user experience, this trading application may work for you. 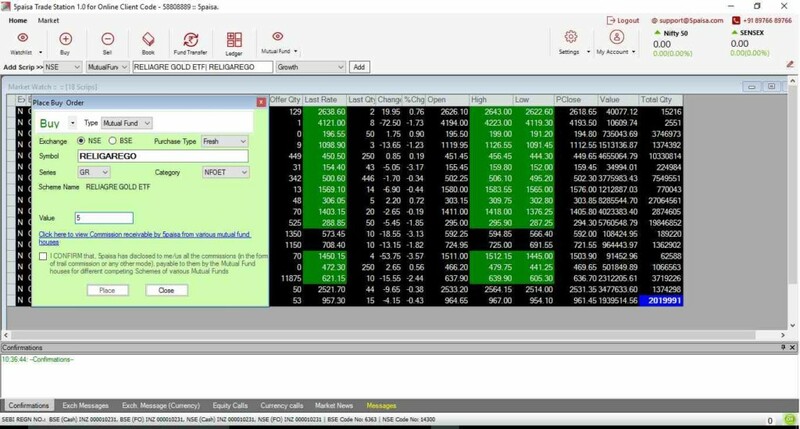 The terminal-based trading platform from 5Paisa, called 5Paisa Trader Terminal, is a decent performing application from the discount broker. Apart from the 5Paisa Mobile app and the browser-based 5Paisa Trade Station, this downloadable software offers reasonable speed and optimal user experience for trading to its clients. 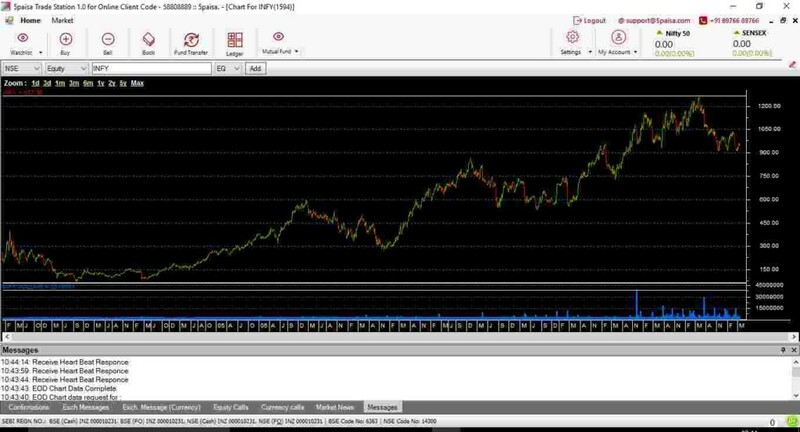 This application requires an install on the user’s computer or laptop and post login, the user can start trading on the stock market. The application design is smooth and allows easy navigation across different entities, thus, offering high usability across features to its users. Furthermore, within these 5Paisa Trading Solutions, you get access to research tips, recommendations and fundamental calls for your intraday trades (across Equity and Derivative segments) or long-term investments depending on your preferences. 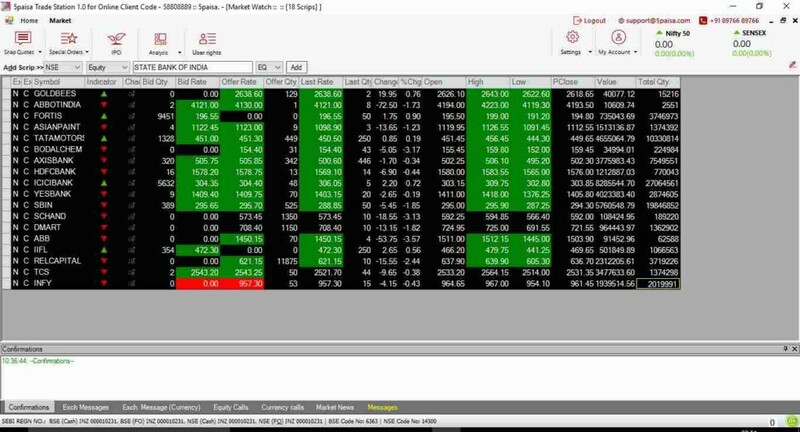 Users are allowed to add multiple watchlists with 100 scrips in each watchlist across Equity and Futures & Options segment. 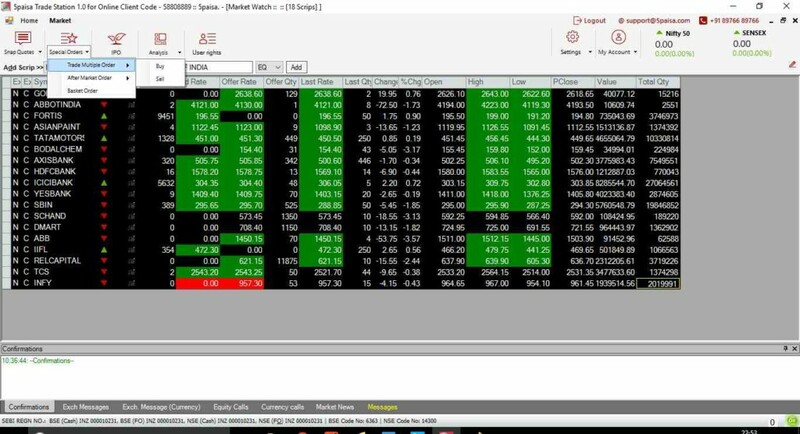 By adding scrip(s) into the market watch, users can closely monitor specific stocks on their performance with information on opening/closing price, quantity offered, bid price and a lot more. 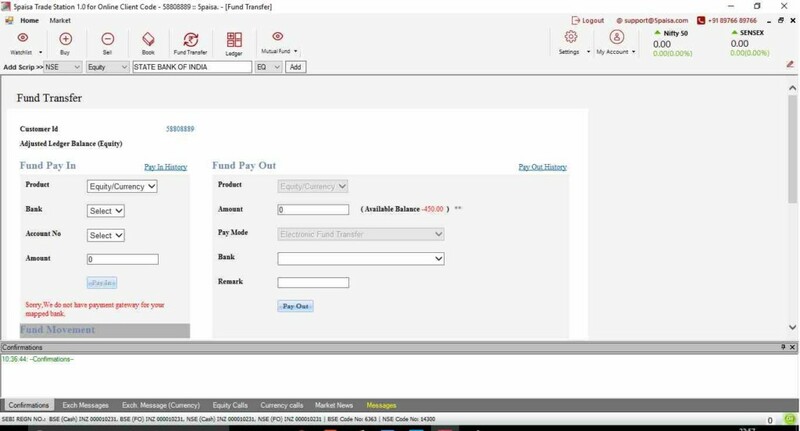 Multiple types of Order types (such as Aftermarket orders, cover orders) available within 5Paisa Trader Terminal for users to place. 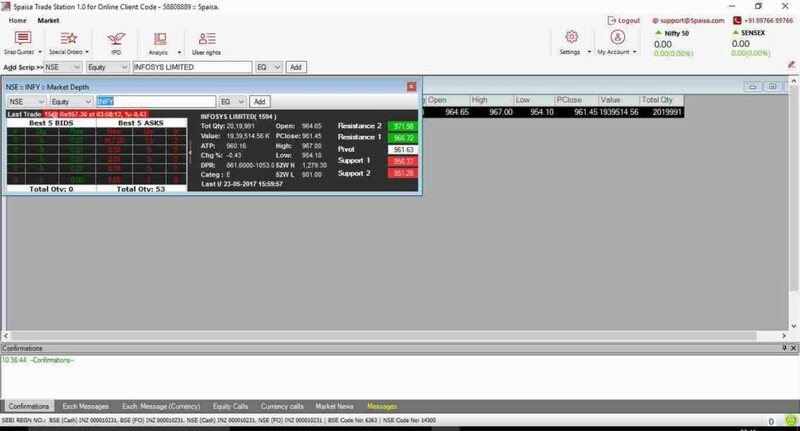 On selecting a specific scrip, users get to check out the top 5 bids available for that particular stock with the number of stocks offered along with the asking price. Provision to buy specific mutual funds within the same trading application allows users to invest across other segments apart from the ones available on the stock market. Users can choose to transfer funds to their trading accounts or request for payments into their bank accounts using 5Paisa Trader Terminal application itself. This is possible with few clicks making the overall process pretty smooth. Some advanced features are still missing as of now. At the same time, it’s relatively a new application and by time, it can be safely assumed, new features will be added. Integration with third-party softwares not allowed. The application allows users to personalize some of the features with the help of shortcut keys, thus, making the overall processing even quicker. The application is not bulky (in fact comes at less than 8 MB) by any means and thus, can be easily used in laptops or computers with basic configuration. 5Paisa Trader Terminal is known for high performance and works smoothly even at basic internet connection bandwidth. Research tips and reports available for users to make quick decisions to buy/sell. This is a unique feature coming from 5paisa simply because it is a discount broker and such brokers do not provide any tips or research to their clients. However, the broker is an exception to the industry convention and provides regular recommendations to its clients through its trading platforms including Trader Terminal. 5Paisa Trader Terminal does well in providing large number of features and is compared to other related applications such as NEST Trader in that particular aspect. Looking to get a callback to Open a Trading Account?